Play Bridge online for free now! 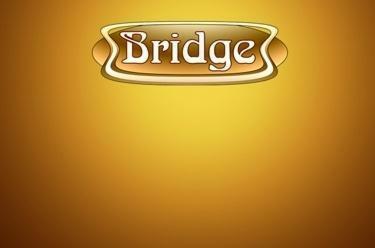 Bridge is one of the most liked English card games. The trick taking game is popular with families and at tournaments. Our variant is based on Contract Bridge which has prevailed worldwide since the 1930s. Two teams with two players respectively play against each other using a card deck of 52 cards. The aim of the game is to win as many tricks as possible. In the first phase of the game (the bidding) a kind of auction determines which team has to take which number of tricks and whether there is a trump suit. Once a team has prevailed with an announcement of a number of tricks and a trump suit the second phase is about playing the cards. One team must try and reach the announced number of tricks while the other team should prevent this. Luck at cards is almost meaningless with Bridge since the game is all about team play, tactics and strategy. Get stuck into this rich and varied card game!